Madie Férère grew up in Côte d’Ivoire, West Africa. Her very diverse cultural heritage, travels, and work around the world makes her suited to address and connect with any audience. She teaches in French, English and Spanish. In Bogota, Colombia, Madie trained as a Dynastretch Guru, (restoration of spinal length), and as a Pilates Instructor, in Mat and Reformer, with Eduardo Prieto, the best Teacher, Trainer and Promoter of Pilates in Latin America, and President of PILATES PRO. She also studied Mat and Standing Pilates with Maria-Clara Ramirez Roa, Physiotherapist and Balanced Body Master Pilates Teacher trained, founder of THE PHYSICAL MIND INSTITUTE. Madie is a Stott certified Pilates Teacher in Mat, Reformer, Stability Chair, Barrels and Cadillac from THE STOTT/ MERRITHEW HEADQUARTERS in Toronto, as well as a Certified Stott Specialist in Post Rehabilitation Conditioning. Madie has also studied Naturopathy at the YOG SHAKTI ASHRAM in New Delhi with Dr. Salila Tewari, and Dr. Sunandini Sharma, and Acupressure with Dr. M.C. Varma. "Madie, is a very competent and knowledgeable instructor. She has a genuine interest in the development and well being of the person as a whole. Sharon Sellers is the Fitness and Operations Manager at Rock Creek Sports Club and has more than 20 years of experience in the fitness industry. Personal Training has been a very rewarding experience, therefore becoming trained in Pilates Mat and Reformer was a natural next-step in her professional growth. Pilates work is a wonderful compliment with the strength training one does in the general gym, by teaching proper alignment, joint stability, and breathing. Sharon has obtained her Pilates training from Balanced Body. Marian Lally, the Pilates and Programming Director at Rock Creek Sports Club, has more than 20 years of experience in the industry and holds a Comprehensive Pilates Certification from Balanced Body. 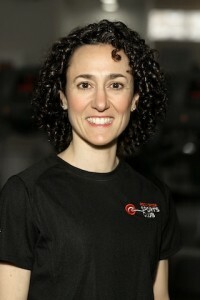 She is certified for group exercise and personal training through the American Council of Exercise (ACE) and is certified in Balanced Athlete levels I and II. 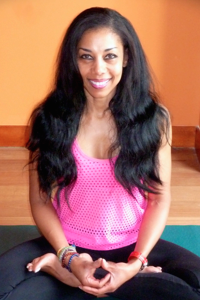 A former dancer, Marian traded in her dance shoes for a pair of sneakers in 1992 and became a group exercise instructor, and eventually a certified personal trainer in 2000. Her Comprehensive Pilates Certification was completed in 2017, the latest part of her fitness journey. Certified in Pilates Studio and Rehabilitation with Polestar Education since 1999, Claudia Corwin served on the faculty of the Washington Ballet School and at George Mason and Georgetown Universities. Claudia's Pilates training focuses on both classical and physical therapy forms which has helped clients see important improvements, especially following joint or muscle injuries--her specialty is dealing with pre- and post-surgery clients, and with those who have physical limitations. Claudia has continuing education credits with renowned Pilates educators such as Peter Fiasca, Jean Sullivan, Brent Anderson, Rael Isakowitz, Rachel Taylor Segel and Eric Franklin. Claudia is also certified in the Gyrotonic (R) Expansion method since 2002.